FAYETTEVILLE, Ark. – Julian Stewart, one of the University of Arkansas' most active alumni volunteers, passed away on Christmas, surrounded by loved ones. Stewart was widely recognized for his leadership roles during the university's Campaign for the Twenty-First Century, serving on the Executive Committee, as co-chair, and as vice chairman of the Leadership and Principal Gifts Committee. He helped the Campaign for the Twenty-First Century record $1.046 billion in gifts and pledges designated for student and faculty endowments, academic programs, capital improvements and University Libraries. After the conclusion of the campaign, Stewart's leadership extended to his service as the first chair of the University of Arkansas' Board of Advisors. "I was very sorry to hear about the loss of Julian Stewart, who was such a great man," Chancellor Joe Steinmetz said. "His legacy here at the U of A will continue through the opportunities he helped create for our students and programs and the other longlasting impacts he made to our campus thanks to his dedication, work and personal support." College of Engineering Advisory Council, the Arkansas Academy of Civil Engineering, Heritage Society and the University of Arkansas Towers of Old Main. 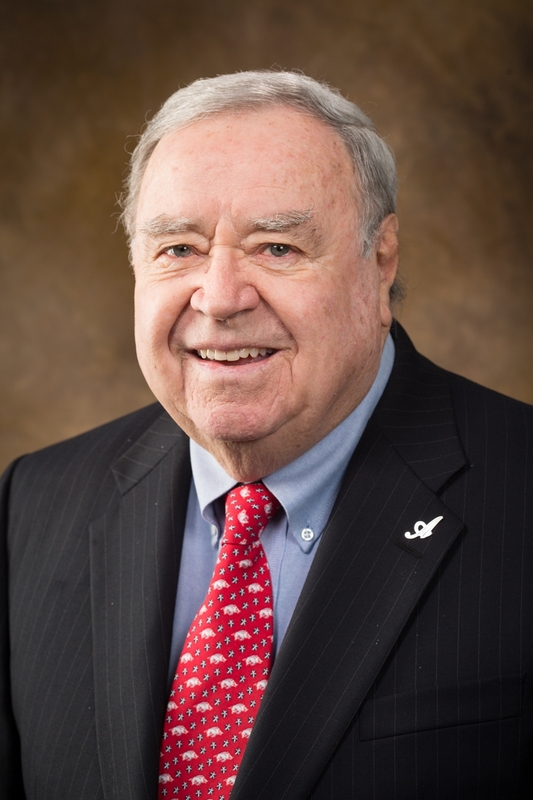 He had also served as the chair of the Board for the University of Arkansas Foundation and was the recipient of the Andrew Lucas Alumni Service Award and the U of A Volunteer of the Year Award. Stewart was inducted into the College of Engineering Hall of Fame in 2010, the highest honor awarded by the College. "Julian Stewart was an unbelievably great man," said Mark Power, vice chancellor for advancement. "You would be hard pressed to find anyone who has devoted more time giving back, not just to the university, but to a long list of worthwhile organizations and efforts he was involved in. Our hearts go out to his wife Nana and their entire family." Stewart and his wife Nana established the Julian and Nana Bachtel Stewart Honors Fellowships in 2003 and created the Julian and Nana Stewart Access Arkansas Scholarship for the benefit of students across the university in 2009. They made a significant contribution to the College of Engineering in 2013, with a portion establishing the Julian C. and Nana B. Stewart AACE Access Arkansas Scholarship to provide need-based scholarships within the college. The Stewarts recently held their semi-annual luncheon with the student recepients of their endowed scholarship support. "He worked hard to be able to afford his own college education and he never forgot that," said John English, dean of the College of Engineering. "Julian Stewart's volunteer leadership, guidance and warm and generous heart will be missed. Our thoughts are with Nana, his children, James and Elizabeth, and their families." Stewart's dedication to education was evident early, growing up in Fayetteville, attending Leverett Elementary, then Fayetteville High School and walking to school every day, from kindergarten until his graduation from the university. Stewart served three years in the United States Air Force followed by a professional career with United Gas Corporation and IBM Corporation. After early retirement from IBM in 1987, Julian worked for Frost Bank, which was a subsidiary of one of his largest IBM accounts. Since 1992 he had been self-employed, managing his investment portfolio and devoting his time even more fully to philanthropic causes of importance to him and Nana, whom he met while attending the university. They were married nearly 60 years ago. The family has asked that in lieu of flowers memorial gifts be given to the University of Arkansas Foundation Inc., Julian C. and Nana B. Stewart AACE Access Arkansas Scholarship, 300 University House, Fayetteville, AR 72701, Attn: Gift Services.